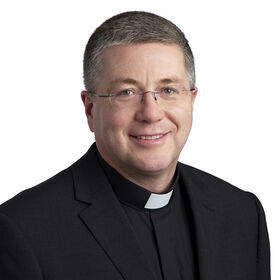 Ordained priest of the Diocese of Cashel and Emly in 1992. Doctorate in Canon Law with specialization in Rotal Jurisprudence, Gregorian University, Rome, in 2000. Lecturer in Canon Law at St Patrick’s College, Thurles (1998-2003), Milltown Institute, Dublin (1999-2005) and St Patrick’s College, Maynooth since 1999. Professor of Canon Law at St Patrick's College, Maynooth, since 2006; Acting-President (2016-2017); Vice-President (2007-2017); Registrar of the Pontifical University (2005-2017); Chair of the Faculty of Theology Quality Review Committee (2006-2014); Judge of the National Marriage Appeals Tribunal of Ireland since 2006. Member of the Canon Law Society of Great Britain and Ireland.